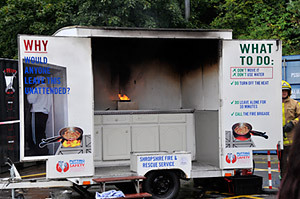 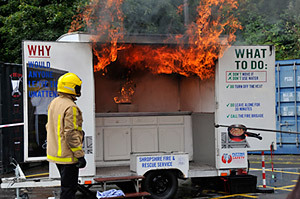 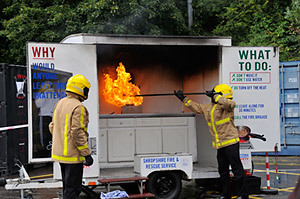 We had a great time on the 8th July at the Telford Fire Station Open Day with a range of fun and informative demonstrations aimed at promoting safety from the Fire Service. 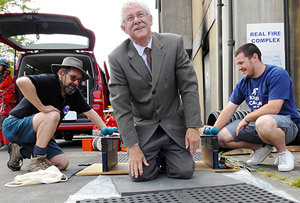 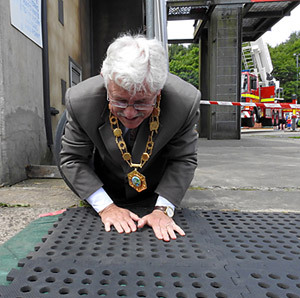 Our display was visited by the Mayor of Telford & Wrekin Council (Councillor Stephen Reynolds) who gamely tried out our obstacle course - crawling through a narrow tube, then making it through the Dudley Caving Club's 'squeeze box'. 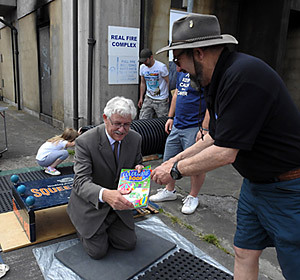 He made it through and was awarded a colouring book for his valiant efforts by team member Idris Williams. 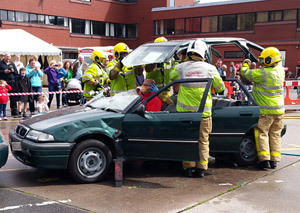 Shropshire Fire Officers gave demonstrations of how to rescue a person trapped in a car following a crash. 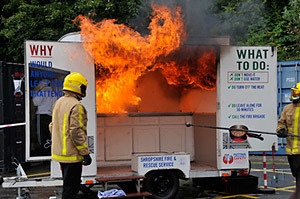 Plus the stunning demonstration of what NOT to do if you have a real chip pan fire! 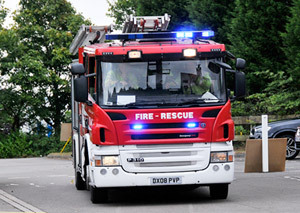 The Fire Service also had some of their specialist appliances on show including; a rescue boat, animal rescue team and rescue tender, and the 6 wheeled all-terrain vehicle from Church Stretton. 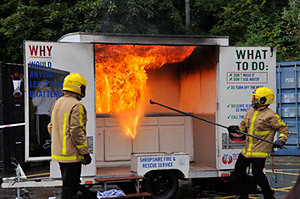 There was also a demonstration of fire fighting from the 'Bronto Skylift' Aerial Ladder Platform. 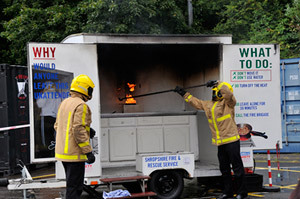 Visitors were also able to have a go at using a hose to squirt water at rotating targets - a big hit with the kids! 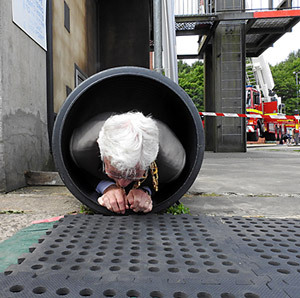 A fun day, and everyone had a good time!